The national tour of the blockbuster musical, Wicked is currently performing at Bushnell Center for the Performing Arts, 166 Capitol Ave. Hartford. This is a return engagement at the Bushnell of the hit show, now in its eighth year on Broadway, and still the top-grossing show there. All the bells, whistles and flying monkeys are here. Solid performing throughout — especially Dee Roscioli as Elphaba and Amanda Jane Cooper as Glinda. Roscioli has the right dry take to deliver Winnie Holzman’s sardonic lines for the outcast character. She also has the pipes to deliver the emotionally rich big notes that composer Stephen Schwartz sprinkles throughout the show. Cooper is a hoot as the self-centered Glinda but also goes deeper as we see the character grow from good-time girl to someone with a moral center. 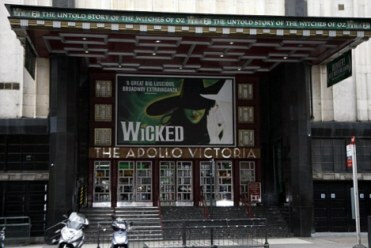 Nice jobs, too, by Randy Danson as Madame Morrible, Mark Jacoby as the Wizard (has the role ever been as well sung?) and Colin Hanlon as Fiyero. Wicked runs until September 11, 2011 at the Mortensen Hall Bushnell Theatre. Buy Wicked Hartford CT Tickets Online, Use Code AFF$10 to Get $10 off on Orders over $350! Broadway Mega Hit Musical, Wicked’s main cast Teal Wicks and Katie Rose Clarke will be replaced by Jackie Burns and Chandra Lee Schwartz. Direct from the show’s first national tour, Burns and Schwartz will join the Broadway company on September 27 for their roles as Elphaba and Glinda respectively. Jackie Burns has appeared on Broadway in Hair as part of the “Black Boys” trio. Off-Broadway, she was in the original company of Rock of Ages and appeared in Unlock’d at New York Musical Theatre Festival. Her regional credits include Grand Night For Singing and more. Chandra Lee Schwartz appeared on Broadway in Gypsy with Bernadette Peters, and in the Las Vegas production of Hairspray. Other credits include Disney’s High School Musical; Nerds, the Musical; Copacabana and the NYMF production of But I’m a Cheerleader. Buy Wicked Broadway New York Tickets, Use Code AFF$10 to Get $10 OFF on Orders over $350! 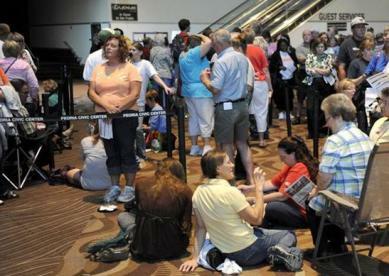 Wicked Tour will be visiting Tempe, Arizona again in the month of February 2012. In case you missed the Tucson run of “Wicked” last winter, or if you saw the show and you’re just dying to see it again, it’s returning to Arizona in the upcoming schedule. “Wicked,” the phenomenally successful Broadway musical that tells the story of what happened before Dorothy dropped into Oz, returns to ASU Gammage next spring. Performances start Feb. 15 and continue through March 11, 2012, at Gammage, located on the Tempe campus of Arizona State University. Tickets go on sale Nov. 28 through ASU Gammage. 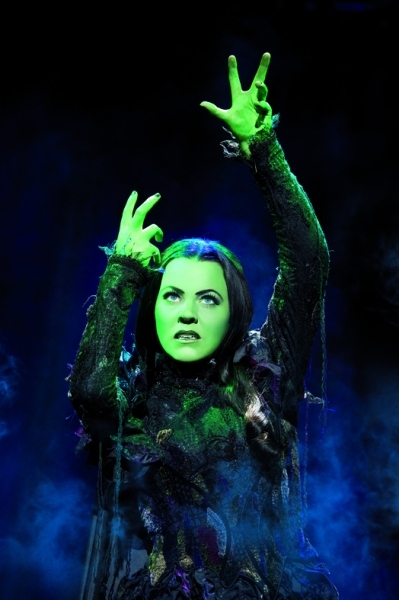 Wicked runs from February 15 to March 11, 2012 at ASU Gammage Auditorium. Buy Wicked Tempe AZ Tickets Online, Use Code AFF$10 to Get $10 off on Orders over $350! A day-of-performance lottery for a limited number of orchestra seats will be held daily for the touring produyction of the musical Wicked which will play Hartford’s Bushnell Center for the Performing Arts Aug. 24 to Sept. 11. Each day, 2½ hours prior to show time, people who present themselves at the theater’s box office will have their names placed in a lottery drum and then 30 minutes later, names will be drawn for a limited number of orchestra seats at $25 each, cash only. This lottery is available only in-person at the box office, with a limit of two tickets per person.